Hey Handsomites! Eric and Robbie are discussing Batman: White Knight by Sean Murphy this week. They discuss the many permutations of the Batman/Joker relationship, the political window dressing of the plot, and Murphy’s beautiful art. They also review Detective Comics #1000 and War of the Realms #1! This entry was posted in Episodes on April 9, 2019 by Robbie Dorman. This entry was posted in Episodes on March 26, 2019 by Robbie Dorman. Hey Handsomites! Eric and Robbie are talking about Umbrella Academy this week! They compare the first and second arcs, talk about Ba’s art, and discuss its place in recent comics history! They also review Daredevil #2 and Female Furies #2! This entry was posted in Episodes on March 12, 2019 by Robbie Dorman. 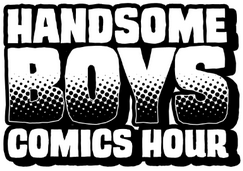 Hey Handsomites! Eric and Robbie are discussing Why Art? this week, by Eleanor Davis. They talk about its impactful ending, the simple art, and the effectiveness of its sparse story. They also review Delver #1 and Wonder Twins #1! This entry was posted in Episodes on February 27, 2019 by Robbie Dorman. Hey Handsomites! 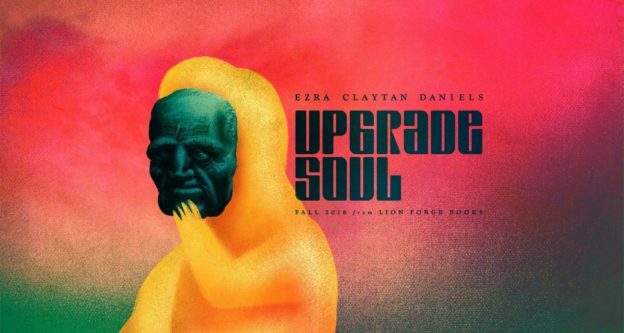 Eric and Robbie are talking about Upgrade Soul this week! They talk about the themes of self, the earned melancholy, and excellent art. They also review Peter Cannon: Thunderbolt #1, and Daredevil #1! This entry was posted in Episodes on February 11, 2019 by Robbie Dorman. Hey Handsomites! Eric and Robbie are talking about Black Hammer this week! They discuss the de-re-deconstructionist superhero story, it’s potential as a whole universe, and its unique art! They also review Guardians of the Galaxy #1 and Naomi #1! This entry was posted in Episodes on January 29, 2019 by Robbie Dorman. Hey Handsomites! Eric and Robbie are talking about The Superior Spider-Man this episode. They discuss Otto as a character, their shift on the book over time, and the variance in the artists. They also review Young Justice #1 and Captain Marvel #1! This entry was posted in Episodes on January 15, 2019 by Robbie Dorman. Hey Handsomites! Eric and Robbie are back again, this time giving out awards for the year in comics! They award the best, the worse, and the whys of 2018. They also review Freedom Fighters #1 and X-Force #1! This entry was posted in Episodes on January 1, 2019 by Robbie Dorman.